Mechanical construction services associated with Westinghouse and D.O.E. 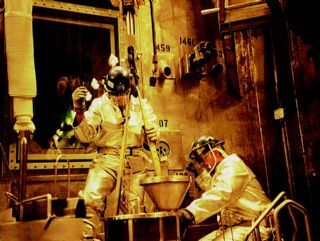 cleanup and vitrification of 600,000 gallons of high-level radioactive waste. Pictured are some of the internal equipment/piping systems within the “melter” cell.